Illinois State University’s Jim Jawahar helped conduct a study that has found gender has minimal effects on job performance ratings. 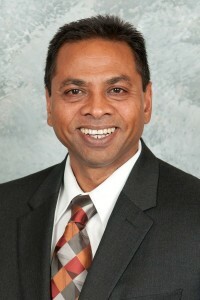 Jawahar, a University professor and an associate provost at Illinois State, worked with a national team of scholars to examine performance ratings of approximately 3,500 managers and more than 9,500 non-managers gathered across 20 years by Hogan Assessments. “The data we found challenges the stereotype that when people think of managers, they automatically think male,” said Jawahar, who worked with professors at Oklahoma State University, Hogan Associates, Ball State University, and NEOMA University in Mont-Saint-Aignan, France. The new study is published in Human Performance. The study is the first to examine ratings of multiple job performance “dimensions” conducted by supervisors for both managerial and non-managerial personnel. The team explored “agentic” dimensions that have generally been associated with men—such as risk management, achievement orientation, and self-confidence—and “communal” dimensions traditionally associated with women—such as caring, building relationships, and teamwork. While the study found that men and women are still graded higher in their stereotypical dimensions, one gender does not consistently receive better performance ratings than the other. This was generally true regardless of whether the job performance dimension was more agentic or communal in nature, whether the job was a managerial or a non-managerial position, and regardless of the proportion of men or women that traditionally occupy a specific job. “This pattern of results is a promising sign that stereotypes of women people hold in the workplace may be declining,” said Jawahar. For additional information, contact Jawahar at (309) 438-7018.